The New Researchers Symposium (NRS) is designed to fast-track your prospect development skills. Anyone new to prospect development can register for the program to learn the fundamentals from experts representing universities, healthcare, cause-related organizations, and more via eight online educational modules. Then, on February 28, you'll join us in Chicago to learn from three seasoned veterans who will guide you through a day of networking and interactive learning. We spoke with these three speakers, Anne Brownlee (director of prospect research, New York University), Andillon Hackney (director of prospect management and research, UC San Diego), and Janet Weimar (associate director of prospect management – health sciences/health care philanthropy, University of Iowa Center for Advancement), to hear what they have in store for this year's program, and why it's a must-attend for anyone new to prospect development. Read on for the full interview, then register for NRS. Q: What are some of the topics you’ll be covering during the in-person event? Any highlights you can share? We’ve tried to make the content for the in-person event largely interactive, so that attendees are not only learning from us but also learning from their NRS peers and in ways that are informative, but also fun. In addition, all NRS content, including the in-person content, is intended to provide insight on a variety of concepts within prospect development so that every attendee leaves NRS feeling like they’ve learned something that will make their work better. The highlight of NRS, always, is the opportunity to bring together new researchers for a concentrated day of learning that allows them to start to build, in person, a network of colleagues they can reach out to and share ideas with in the future. Q: What are you most excited about for the upcoming NRS? I truly do believe we have the best job in fundraising, so I’m always excited to teach NRS because it gives me the opportunity to share this awesome job with people who are just getting started in the field. I like, too, that NRS provides a safe space for people to ask questions. As instructors, we get to see those light bulb moments where a person learns something new that sparks a curiosity in their own thinking about the profession and then they ask questions that get the whole group thinking, and that is exciting. Q: Why is it important that those new to prospect development receive the type of training they’ll get from NRS? If you are only learning your job in-house, it can be very easy to get a siloed vision of what that job is. Attending NRS provides new researchers with the opportunity to explore what prospect research can be and gain insight on best practices on what others are doing in the field, then couple that knowledge with their own on-the-job training to make them invaluable at work. Q: What is one thing you wish you would have known when you were first starting out in prospect development? I wish I’d known the magic formula for what defines a good prospect. It is simple, painfully simple, in fact, but when I saw the formula up on the big screen at a training a couple of years into my work as a researcher, it was just this fabulous aha moment of “right, that’s what I’ve been doing.” It changed my life. The NRS is essential for new researchers as a base, a place to start. 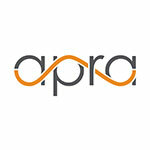 There’s no university that teaches this course, so the only place to get it is Apra.